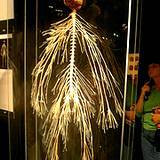 The human nervous system provides the vital communication lines between the external world and our internal world. The sense organs of the nervous system receive external information and relay it to the brain. The information is then passed to organs, tissues and cells so they can adapt to changes. Central Nervous System The central system is the brain and spinal cord, both made up of nerve fibers, which control major activities of the body, both conscious and unconscious. For example, breathing is automatic and rund under unconscious control. Peripheral System. The peripheral system is the network of nerves throughout the body that monitors detail that fine-tune control systems for optimum health. Nerve Cells Signals are actually sent by electrical and chemical means from one cell to another until they reach their target tissue. From there the signals can spread to other related tissues that need to be aware of the same information. Brain Main hub for sorting and prioritizing information used to govern the whole body. 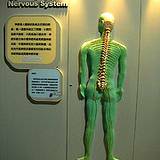 The nervous system penetrates every tissue of the body, just as the circulatory system does. It is composed of 28 billion neurons or nerve cells. These cells are the communication specialists. Messages are transmitted by electrical signals. Three types of nerve fibers send impulses or various speeds to various targets anywhere from two to 400 feet per second. Heat, cold, pressure, body position and control signals are constantly exchanging information. The body is "wired" with billions of connections for many skin sensors per square centimeter to the brain's computer network. Messages travel at amazing speed, varying from 27 to 135 mph. What you think and how you feel is passed on to all systems of the body and affects their well-being. Nerve impulses can also modify the amount of glandular secretions. Your awareness of pain, temperature, sight and sound connect with the brain for information sorting. Most of your activities are governed by these input signals. The body system communicates two basic types of messages. One is to activate and the other is to relax. Along with the physical functions of our body, the nervous system also influences how we act or react to stress. The "flight or flight" response is a good example of this action. Stress is a factor in every life and is largely determined by how we react to stressors around us. When the body's balance is upset we experience stress reactions. Any discussion of stress should rightly begin "at the top", in this instance, the brain. The brain is housed in a protective shield of cranial bone and connected to every part of the body. Nervous stress is almost always a product of an overactive brain, a brain that decided, in order to survive, that extra effort is needed-effort beyond the normal demands of everyday life. Both science and common sense agree that a little stress is invigorating, but too much for too long depletes the body's ability to maintain itself in a health state. The human mind is so powerful that it will often override the relaxing effects of artificial drugs. Everyone has feeling and thoughts that may seem to overwhelm the brain's ability to cope. A nutritious diet that constantly replenishes the body's stores of vital nutrients that a depleted by the physical stress that we encounter each day can often have a profound positive effect. Our attitudes produce energies that are picked up by all we associate with even when they are not consciously aware of it. Your concern and helpful attitude towards all who are associated with your business elicits trust and is in itself, healing to the human nervous system.